Larval food plants are species of Rutaceae, both native and introduced. Mature larvae variable in colour, usually orange-brown with some irregular markings; head green. 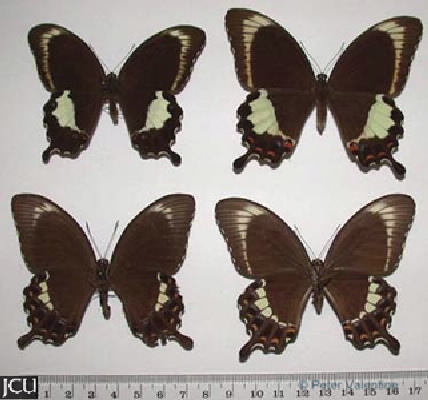 Adults brown to black with a cream band and blue and orange to red spots towards base of hind wing; lower surface dark brown; tail prominent.